This article first appeared in The Conversation on 22 June 2017. The Grenfell Tower fire in the early hours of 14 June which killed at least 79 people, will undoubtedly lead to calls for a number of inquiries examining everything from safety regulation to local authority responsibility for building design and tenant safety. Writing in The Conversation, Phil Scraton, Professor Emeritus in Criminology at Queen's, reflects on his experiences of the Hillsborough disaster and offers his thoughts on avoiding similar pitfalls for Grenfell Tower. Now that the enormity of the Grenfell Tower tragedy is apparent, it is clear that residents’ concerns about the building’s design, structure and fabric had been ignored, suggesting a catastrophic dereliction of responsibility by corporate and public bodies. In the hours and days that followed, the bereaved and survivors were left, homeless and destitute, to fend for themselves, while social and mainstream media carried often ill-informed demands for an immediate wide-ranging investigation. The government has now indicated its intention to establish a judicial inquiry, a decision greeted with understandable caution by the community – who fear it will not deliver the necessarily independent, prompt or thorough investigation. One online petition demanding transparency and “meaningful investigation” has amassed over 150,000 signatures. Another well-subscribed petition has demanded an immediate inquest, reflecting profound distrust in state-initiated inquiries. It is a distrust rooted in previous investigations. Solicitor for the 2009 Lakanal fire victims, Sophie Khan, has argued an inquest would enable a jury to reach a verdict independent of government influence. Cited as the way forward, in 2016 the jury in the second Hillsborough inquest reached its verdict of unlawful killing and 25 damning findings against the police and other key institutions. Hillsborough, however, demonstrates the shortcomings of inquests and inquiries. Within four months of the 1989 disaster, a public inquiry, chaired by Lord Justice Taylor, concluded that the main cause of the deaths was overcrowding on the stadium’s terraces but the main reason was a police failure in controlling the crowd. Yet, the speed with which his interim report was delivered significantly inhibited exploration of the historical context, the wider institutional failings, and the appalling treatment of the bereaved and survivors during the immediate aftermath. Crucially, Taylor failed to reveal that police officers’ statements underwent review and alteration carried out by a South Yorkshire investigation team in close consultation with the force’s solicitors. This process was accepted by Taylor, by the West Midlands Police investigators and by the Home Office. It has since been revealed that the South Yorkshire Ambulance Service adopted a similar process. In March 1991, the first Hillsborough inquest jury, under assertive direction from the coroner, delivered verdicts of accidental death. Over two decades later, the full extent of the miscarriage of justice was revealed – not by an inquest nor by a public inquiry – but by the Hillsborough Independent Panel’s 400-page report, encompassing 153 detailed findings. I headed its research and also advised the bereaved families’ legal teams throughout the second inquest from 2014 to 2016. Among the Grenfell families and survivors, the sense of urgency and desperation for their questions to be answered is as obvious as it is painful. Calls for inquests to precede an inquiry are understandable but inappropriate. Inquests have neither the capacity, nor scope to engage necessarily complex questions. For example, it is outside their remit to explore survivors’ experiences and their endurance of the immediate aftermath. Inquests establish who died, and when and where they died. A fourth duty – to establish how they died – is the most contested terrain at inquests involving deaths in controversial and contested circumstances. Yet inquests cannot attribute named responsibility for the deaths, and witnesses can refuse to answer questions that could suggest liability. An underlying frustration is that no alternative form of investigation exists. When I stood before the Hillsborough families and survivors to deliver the panel’s report, I anticipated we had established a process that prioritised the best interests of families and survivors. Innovative and independent, a panel with complementary and necessary skills had prepared the ground for new inquests, criminal prosecutions and disciplinary proceedings. It now appears it will remain an exception. Prime Minister Theresa May has confirmed that a public inquiry into the Grenfell Tower fire will proceed. In fast-moving developments following her announcement, it transpires that across England approximately 600 high-rise blocks have combustible exterior cladding similar to Grenfell’s. The financial and personal implications for evacuating these blocks and rehousing their residents are unprecedented. It has taken a dreadful tragedy to reveal the extent of such institutionalised neglect and complacency. And the Grenfell inquiry will be deficient unless it addresses, explains and acts on three inter-connected elements. First, is the history of the tower block: from inception and planning as a local authority housing development, to its commission, design, transfers of ownership, subsequent modifications, inspections and so on. The combination of public investment and the chain of private contractual arrangements are central to the “long history” that precedes all disasters. This was the crucial context and record of complex decision-making absent from the rushed public inquiry into Hillsborough. It took the independent panel’s research team, which I led, two years to unpack this complexity. Second, is to establish precisely what happened on the night of the disaster. This must focus on discovering how the fire started and why it spread so fast with such devastating consequences. Clearly, preventative measures – fire barriers, alarms and sprinkler systems – were not present, or were ineffective. Thus, escape and rescue was inhibited with dire consequences. The inquiry should also consider why prophetic warnings of concerned residents allegedly went unheeded. Third, consistent with the model devised for the Hillsborough Independent Panel – is a full analysis and evaluation of the systemic failures during the immediate aftermath and days that followed. People lost loved ones, neighbours and all possessions. Yet in these moments of crisis, as the prime minister has admitted, they were failed. As I have stated repeatedly post-Hillsborough, immediate care and support for those traumatised has to be central to any emergency response. 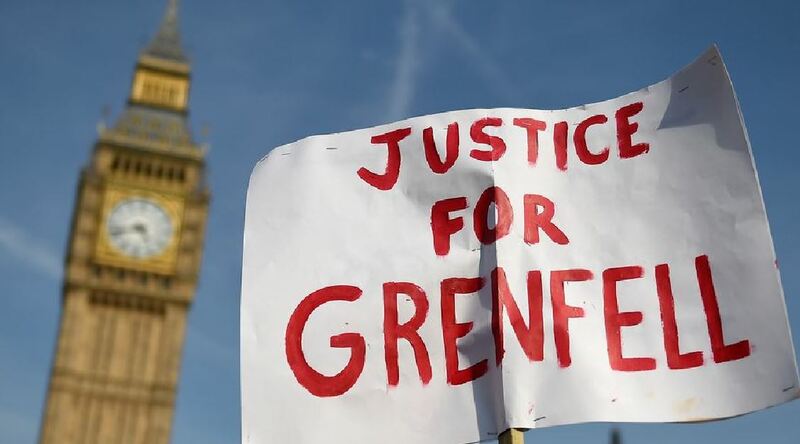 In my experience, the Grenfell inquiry will not have the confidence of the community unless it demonstrates a profound understanding of the context, circumstances and aftermath of the tragedy, engaging directly and meaningfully with families and survivors. At the public inquiry and eventual inquests, as the recent Hillsborough inquests demonstrated, families must be guaranteed state-funded access to full legal representation equivalent to that commissioned by the private and public bodies involved. Those appointed as advisors to the inquiry must have the experience and expertise to question, contextualise and evaluate evidence on each of the above three elements. The inquiry must present incisive conclusions on causation alongside recommendations that safeguard those living in similar accommodation. Only then, and to the satisfaction of the bereaved and survivors, can the truth be revealed and the public interest served.